Designed as the perfect match, this elegant bridal set is made to make your romantic journey unforgettable. 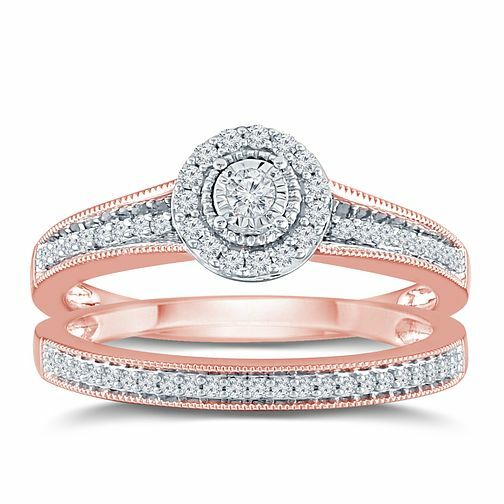 Crafted in classy 9ct rose gold with milgrain detailing, the wedding band is channel set with sparkling diamonds, complemented by an engagement ring featuring a round cut diamond in a halo setting. The total diamond weight for this set is 0.25ct.